With the support and assistance of our professional, we are involved in offering a wide range of Brisk Input Output Module. The range we offer under this category includes Analog Output Module, Channel Digital Output Module, Channel Modbus I/O Module and Digital Input Module. The entire range is manufactured at vendor's premises using advanced technique and methodology. Our range is offered in standard specifications, meeting the demands of various sectors. 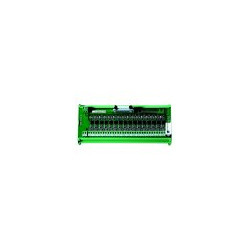 We are one of the leading organizations involved in offering a wide range of Digital Input Module. These are sourced from trusted vendors of the market after extensive market research. This 16-Channel Digital Input Module helps to interface variety of digital signals between automation and control products such as PLC/DCS/RTU. Our range is available at industry leading rates. Avail from us a wide range of Channel Modbus I/O Module at reasonable rates. This 8-Channel Modbus I/O Module - MAS-AI-U-8-M is available in various technical specifications, meeting the demands of numerous industries. The device is based remote IO unit in DIN rail mounting. This helps provide an easy way for integrating analog signals to supervisory SCADA/PLC/DAS systems. Our organization holds expertise in offering unmatched quality range of 8-Channel Digital Output Module- MAS-DO-RL-08-D in various technical specifications. These are manufactured at our vendor's premises as per the standards set by the industry. This device is best when used with interface variety of digital signals between many automation and control products such as PLC/DCS/RTU. 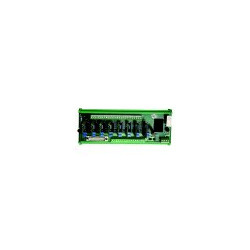 Our clients can avail from us optimum quality range of 8-Channel Analog output Module MAS-AO-08-D. Procured from reliable vendors, the range we is used to interface variety of analog signals from field. It works with any automation and control products like PLC/DCS/RTU. In order to ensure better performance, these modules are available in compact DIN rail mounting. Looking for Brisk Input Output Module ?